Still on a hunger strike from his recent cold/fever, the only thing Rice Kernel wanted was pasta and carrots. A little too boring for the rest of us, I threw in some summer garden staples for some color and texture contrast: scallions for some crunch and mild onion flavor, cilantro for some earthiness and a bounty of silky, creamy eggplant. Oh, and some organic beef and sausage for the boys. 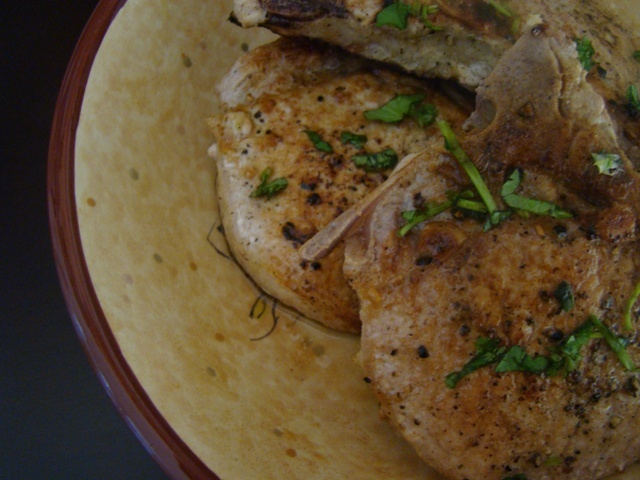 But you could easily omit the meat or substitute it with firm tofu or some pine nuts. It’s seasoned simply with salt and pepper. Throw in your favorite pasta shape (cooked in plenty of salted, boiling water) and you’re set! Sorry the posts have been sporadic these last couple of months. Claire has been a great baby, overall. Balancing two kids is, frankly, better than I thought it would be but still (obviously) challenging. I have help, thankfully. And the fact that Rice Kernel is nearly 4 years older than his sister means he’s fairly self-sufficient. Claire was born in the midst of the school year which meant Rice Kernel had his own schedule, plenty of friends to play with every morning and activities to look forward to it. But with the end of the school year and only sporadic camps and activities, we’ve found ourselves going a bit stir-crazy. Let’s just say my little boy suddenly wants more attention. And I’m the #1 playmate. And often the only playdate of the afternoon. This, of course, has left me a bit more tired at 8:30 p.m. (when both kids are sound asleep) and a bit less likely to post my haphazard meals and rushed baking projects. (Let’s be honest, no matter how little time there is in the day to cook/bake, something sweet is in the oven at least once a week.) But that doesn’t meant we haven’t been cooking. In fact, the cooking hasn’t let up in our kitchen and I happily manage dinners at least 5-6 nights a week. Nothing fancy, though, as is the case with this dish. This dish is one of those Asian street food dishes that I’ve never come across in American Asian restaurants. An old neighbor introduced my family to the dish years ago; I’ve never made it until now. Frankly, I had forgotten about it until I came across the recipe and the ingredients reminded me of something familiar. 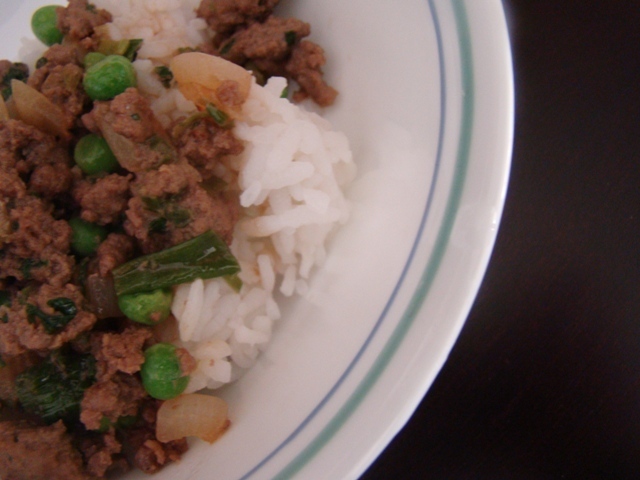 Made with ground pork, it requires few Asian ingredients and comes together quickly for a homey dish. Although it is supposedly served as a street snack, I added some diced onions and vegetables to round out the dish and made it a more complete meal. Both kids are in bed as I type tonight. My brain tells me I better sleep. Claire has been restless around 5 a.m. and is still waking in the middle of the night to feed. But there are cooking blogs to read and tired muscles to foam roll from my run this morning. And, of course, some more recipes to continue sharing…. Thanks for continuing to read and visit all these months. There’s a lot of talk about going meat-free these days, or at least meat-less. That’s not a problem for me but the rest of the family isn’t quite on board yet. 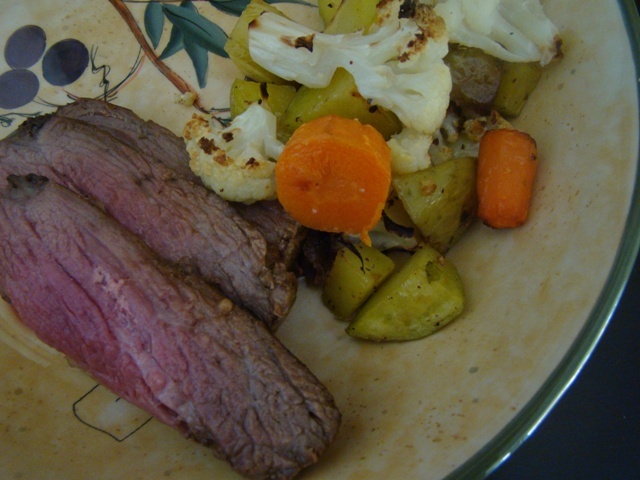 My husband loves meat and relies on protein for workouts and soccer games. And my mother-in-law, who is a nutritionist by training, constantly recommends animal protein in a growing preschooler. Getting Rice Kernel to eat meat is not so simple, though. Unless it’s a steak. Or coated in bread crumbs. Enter the perfect recipe here. 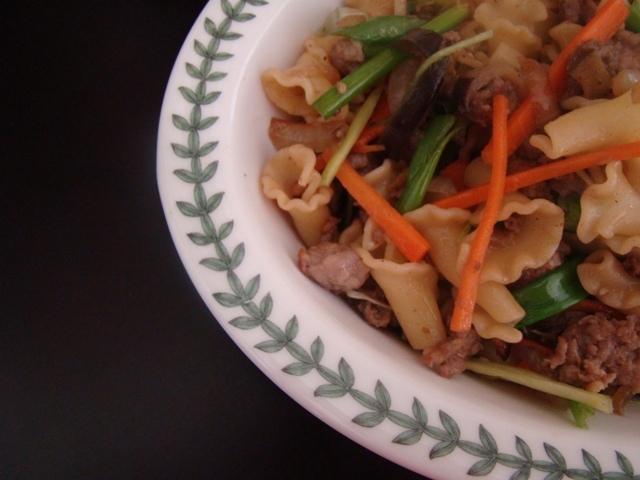 Full of flavor, it is a fail-proof recipe that even kids can help prepare. A bright, summery preparation for chops. The “raw” sauce at the end provides a particularly earthy, refreshing finish. For garlic lovers, I’d throw in a clove of finely minced garlic into the raw sauce as well. For Rice Kernel, though, not so much. Heat the grill to high, if using, or place a saute pan over medium-high heat. Remove the pork from the marinade and pat dry. Season with salt and pepper. Grill or cook until golden brown, 3 to 4 minutes. 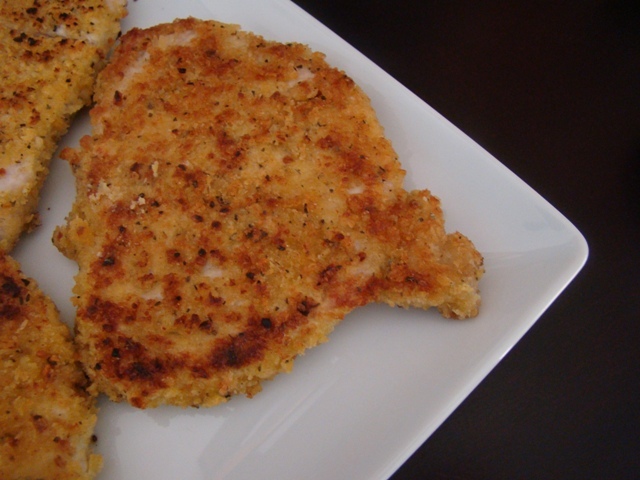 Flip the chops over and continue 2 to 3 minutes longer. After we returned from Disneyland recently, Claire caught a cold. It knocked me out. And then it knocked out Rice Kernel. When that happens, one thing is guaranteed: there is an excess amount of fruit in the fridge because my fruit-fiend son goes on a fruit strike. Many things will keep for days and even weeks. But not berries. 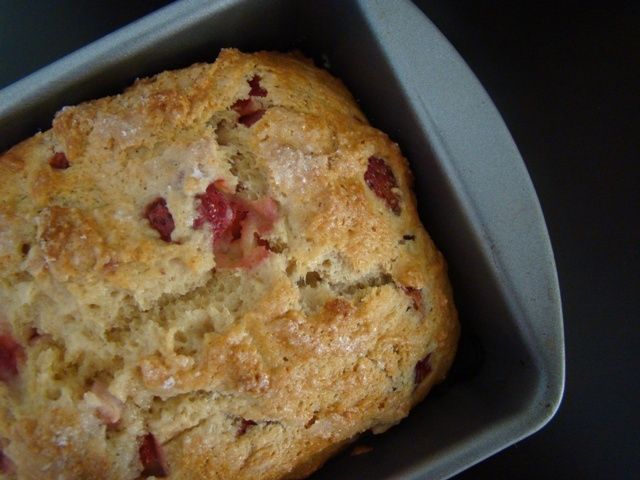 With a few pounds of strawberries growing weepy, I needed a simple recipe and turned to this strawberry bread first. Made like a traditional quick bread, this recipe highlights the ubiquitous summer berry and its natural sweetness. I made three substitutions: oil instead of butter (we’ve been out of butter for months now and, for some reason, have not bought any), 1 cup of white whole wheat flour and a 1/4 cup reduction in sugar. Fast and easy, it’s a great recipe to use-up leftover berries. When we returned from Disneyland recently, Rice Kernel went on a dinner strike for several nights. Nothing could please his palate and he barely had an appetite. One day, he asked for lamb. Not convinced he’d eat it (he typically only manages a few bites when we prepare it) I chose a simple recipe for tender tri-tip. A big hit, this is a recipe that’s perfect for entertaining as well. Leftovers are delicious in sandwich or taco form. In small bowl, combine all ingredients; mix well. Marinated for at least 2 hours, or overnight. Remove the meat from the marinade and pat it dry. Discard the marinade. Place the tri-tip, fat side up, on a rack in a shallow roasting pan. Roast for 20 minutes, then begin checking the internal temperature. Remove the roast at 115 degrees F to 120 degrees F for rare, 120 degrees F to 125 degrees F for medium-rare. I was addicted to creamy, crusty roasted potatoes before this recipe came along. But sweet onions and a touch of decadent truffle oil have truly elevated this homey side. Just in time for Rice Kernel’s new appreciation for roasted potatoes. Preheat oven to 400°F. 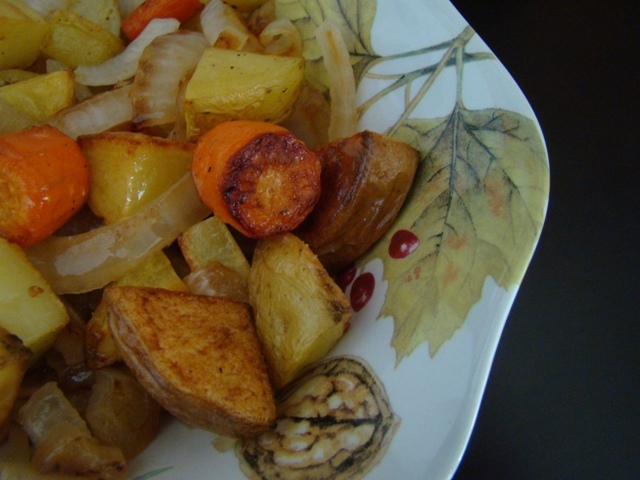 Put onions, carrots and potatoes in a sturdy roasting pan. Pour olive oil over them and toss well to coat. Liberally sprinkle salt and pepper over the potatoes and onions. Spread the potatoes out so they are in a single layer in the pan. Place in oven. Cook for 40 minutes or until the potatoes are lightly browned and cooked through. Place potatoes and onions in a serving dish. Sprinkle well with truffle oil. Toss to coat.